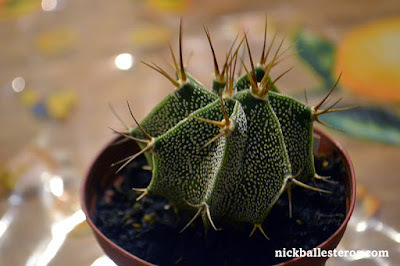 I haven't acquired a lot of new cacti / succulents lately, but there's a particular plant that I am excited about, which have a small specimen of - the Adenium. 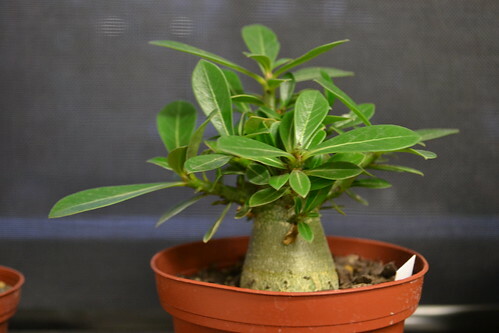 Also called the Desert Rose, the Adenium's unique characteristic is its thick caudex (or rootstock). This makes it appealing to those who would like to grow bonsai, without the "specialist" care required of the commonly used trees (such as the maple, pine, and the Japanese cherry tree). An added bonus is its beautiful flowers (Google Adenium and you'll find some wonderful specimens). Mine has a looong way to go but I'm not in a hurry. One of our main stops in our South Island trip is Akaroa, a small town less than 90 minutes' drive south of Christchurch in New Zealand. It is a popular summer destination, and though we visited in Autumn it still was a lovely time to visit. Akaroa was home to the French and British in the 1800s, but more so the French I believe. Their mark is strongly integrated in this town, with the dominant presence of French shops, French people, and the French language. It's not too difficult to imagine that we stepped out of New Zealand and into a French town altogether! Each time we passed by this picturesque mountain, or even catch a glimpse between houses, we couldn't help but stop and stare. It's unlike anything we've seen before. Looks like a painting! 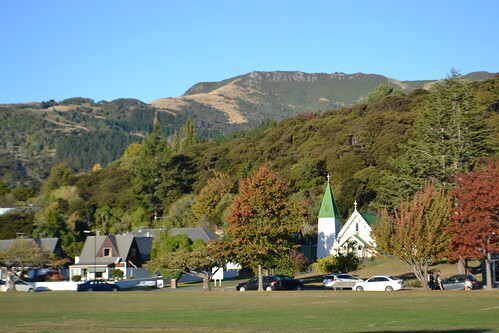 This sight is one I will always remember whenever I think of Arrowtown. Arrowtown in the South Island of New Zealand is a historic mining town. Early Chinese settlers made their way here as gold miners in the late 1800s. Many of the buildings that were built during its gold mining heyday have found new life as shops and offices, with new construction following a set of design rules. The town is successful in that regard - you feel that harmony everywhere you go. I have never seen so many beautiful trees in one place. It's like they're vying for attention - vibrant reds, bright yellows, delicate orange - you have to be there to truly appreciate the beauty. I tried to capture these on camera but it's truly different being there in person. 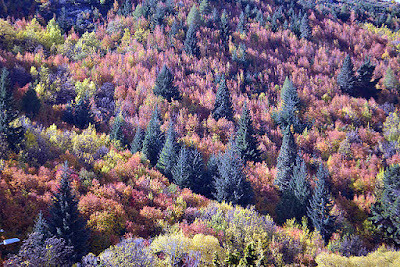 Look at the tree below - have you ever seen anything so colourful? Not only does it have these bright yellow leaves, but it also has these red berries that make it look like it's meant for Christmas! We had the great opportunity to visit the South Island last week, and while we only had 4 days to take in the sights, it is something that I personally will remember for a long time. Friends attest how beautiful the island is, and now I have seen it with my own eyes. 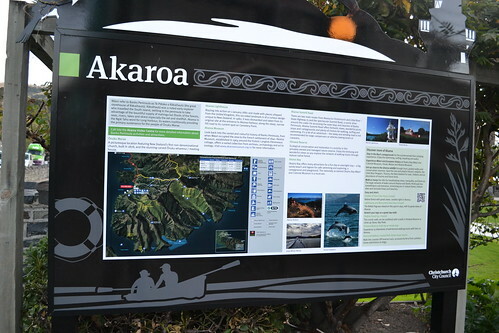 From Christchurch, we travelled to Akaroa and back. The next day, we visited Lake Tekapo, followed by Lake Pukaki, and Finally Mt Cook. 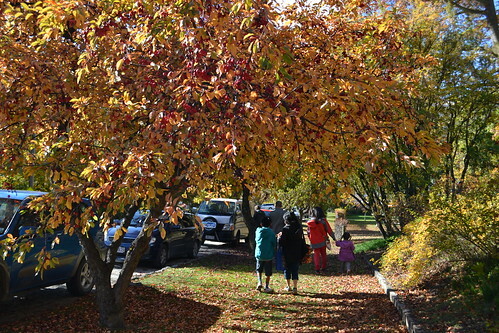 After spending the night at a Lake Wanaka accommodation, we drove to Arrowtown, and then it was off to Queenstown. It was back to Lake Wanaka for the night, and then we visited the Lake and nearby attractions Puzzling World and the Toy and Car Museum. Finally, we travelled back to Christchurch where our plane awaited to transport us back to Wellington. But before this road trip, we were able to catch a glimpse of Christchurch itself. There were still lots of renovations happening around the city, and it was truly depressing to see the state of the Christchurch Cathedral. It's sad that we were not able to see it pre-earthquake. I heard it was majestic and a sight to behold. 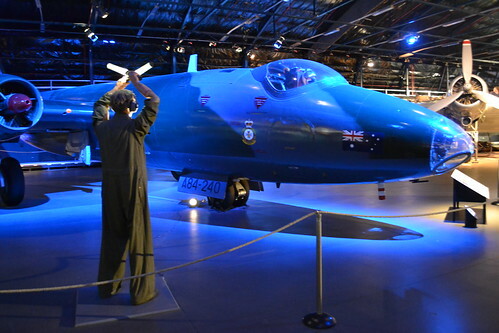 We also managed to drop by the New Zealand Air Force Museum an hour before it closed. Our visit was obviously hurried, so it was a shame that we had so little time. There's a lot of information to take in from the Museum, both in text and in artefacts. The place is just amazing! The gallery has a couple of dioramas, and archival material have been painstakingly chronicled.